Today sees the last day of our domino week…and wow have we seen some fabulous makes from the DT? Pop on over to my blog for full details. Pop back tomorrow for a new weekly theme. 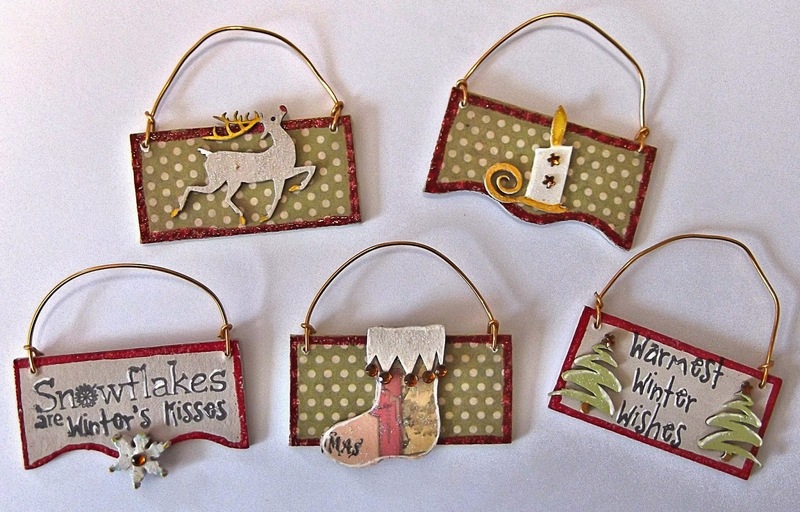 haha is it too early to be thinking about making decorations for your Christmas Tree???? nah...never too early for me :D I have used the fabulously sturdy Tando Domino's as a base for each of the little hanging plaques. Shame that the 'bling' doesn't show up in the photos though, sorry about that. Don't forget we have Prizes! Hi all! 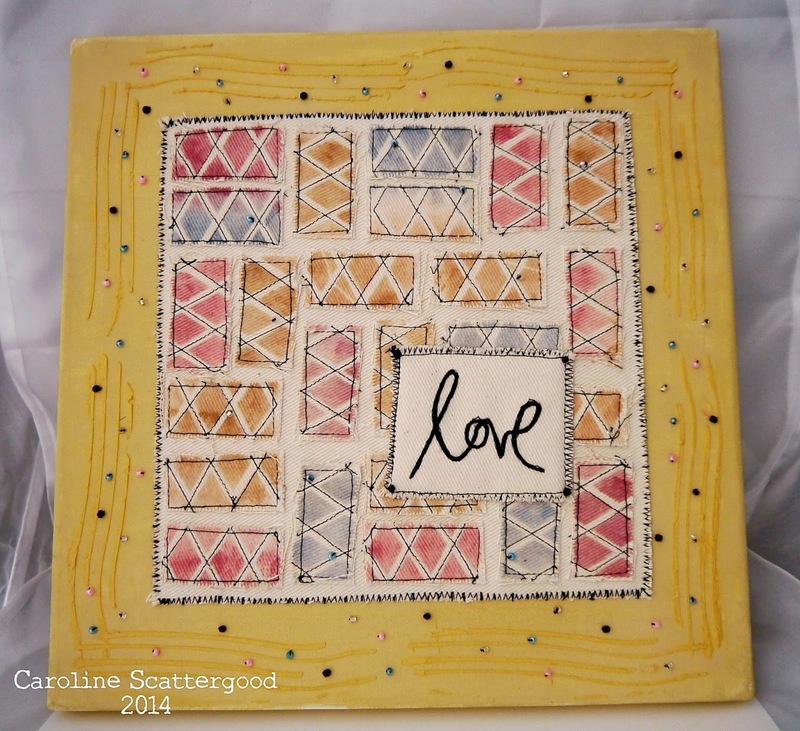 Caroline here with this weeks theme of 'Dominoes'. I thought right outside the box here and decorated a canvas with fabric pieces the same size as a domino - 2"x1"! I cut long strips of canvas two inches wide and then decorated them using Tando Creative's Harlequin mask and ink. I then sewed each blank line created by the stencil, and cut into one inch lengths to create the separate dominoes. 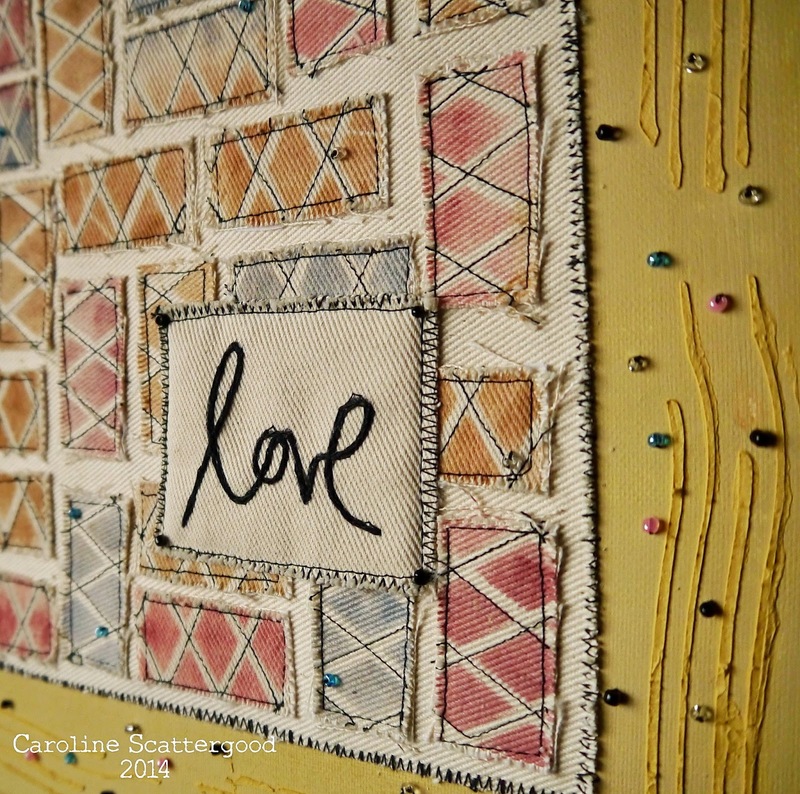 I stitched each one onto an 8"x8" piece of canvas and added the 'love' sentiment which was stamped and then chain stitched before adding to the canvas. This whole piece was sewn to a 10"x10" canvas which I had painted. I added the framed effect by using the Stripes mask with some Viva Decor Terra. I then decorated the whole piece with some seed beads. I have to have busy hands whilst watching the TV! Hi Tando fans! Dana here today sharing a fun set of altered dominoes. My girls have about a week of Summer left before they go back to school and I made them a matching game to help fight their boredom. New games always help keep them occupied for at least an hour or two so this project was a win-win! I used some of my favorite domino size stamps to dress up my Dominoes. After applying a light coat of gesso to both sides of the dominoes, I stamped the pretty ladies and gorgeous baroque design onto the dominoes with archival ink. I then colored the images with Gelatos. I finished the edges of the dominoes with a black paint marker and then added a coat of glaze to both sides to seal and protect the images. You can pick up the dominoes I used for this project from the Tando Creative Retail Shop. 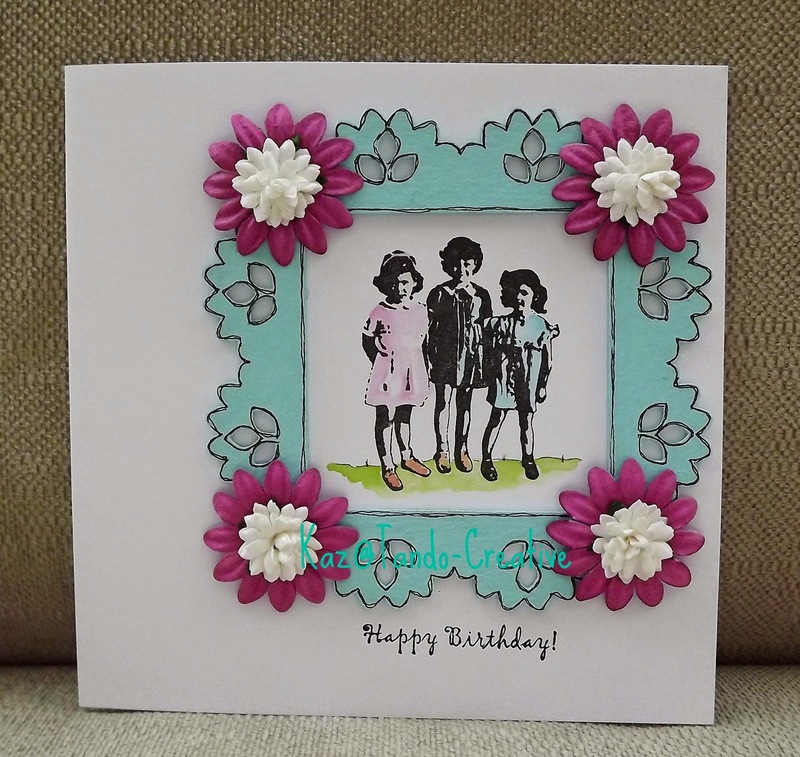 For more information about the stamp sets I used for this project, please visit my blog. Thanks for stopping by today! ......Drum roll please............and now to introduce you to our two new Design Team members. Hi my name is Monica Edwards and I am the mother of 2 amazing kids (at times lol). My son Andre and daughter Mariah. I have been crafting every since the birth of my son who is now 24. I started blogging backing in 2008 (if my memory is right) and I have not stopped since. I look forward to sharing and inspiring others through my work for as long as my stay here at Tando! My style is... well I have no certain style because I do a little bit of everything. I am super excited to be here and hope to stay awhile. Fabulous make Coco! - if you fancy having a go yourself the kit is found here. Hellooooo! 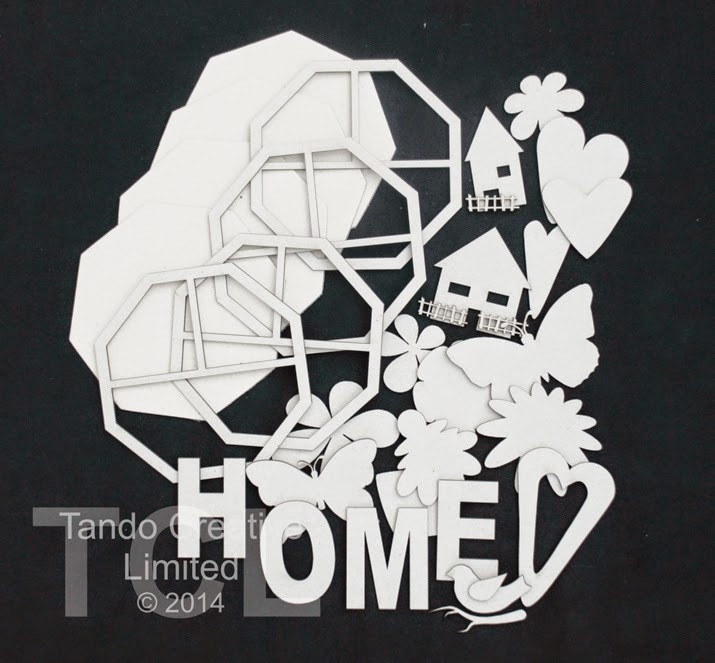 I have been working on another fairly new kit from Tando Creative - the OCTAGONAL HOME HANGING. Each octagon measures just over 10cm across to give you an idea of the finished size. You can buy the kit direct from *HERE* - it would make a lovely present for someone or for yourself! Hi Tando fans! 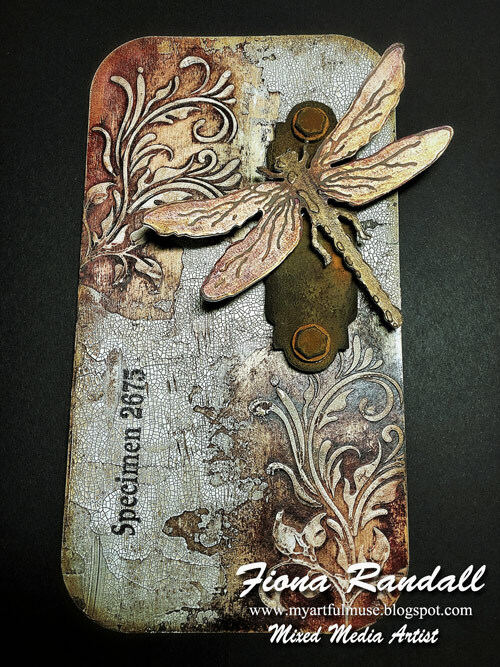 Dana here today sharing an Artist Trading Card that I created for the Free For All theme this week. I found this gorgeous butterfly wing in my garden and thought it would look fantastic on an ATC. I used the fabulous Dotted Star Mask, designed by Kaz, first with a black marker and then with light molding paste that I tinted gray. I moved the mask slightly before applying the paste to create a shadow effect for the background of my card. Once the paste was dry, I colored the card with ink, mist and gelatos. I sealed the butterfly wing to my card with a thick coat of crackle glaze. While the glaze was still wet, I pressed the wire circle and rub-on onto the card to finish my piece. Thanks for stopping by today! 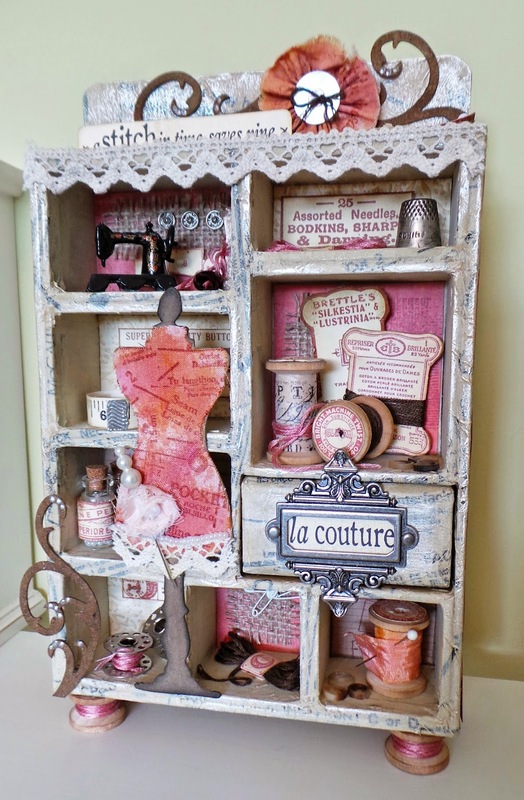 You can pick up all the pieces I used here from the Tando Creative Retail Shop. Irit is here again and this is my Free for all project. 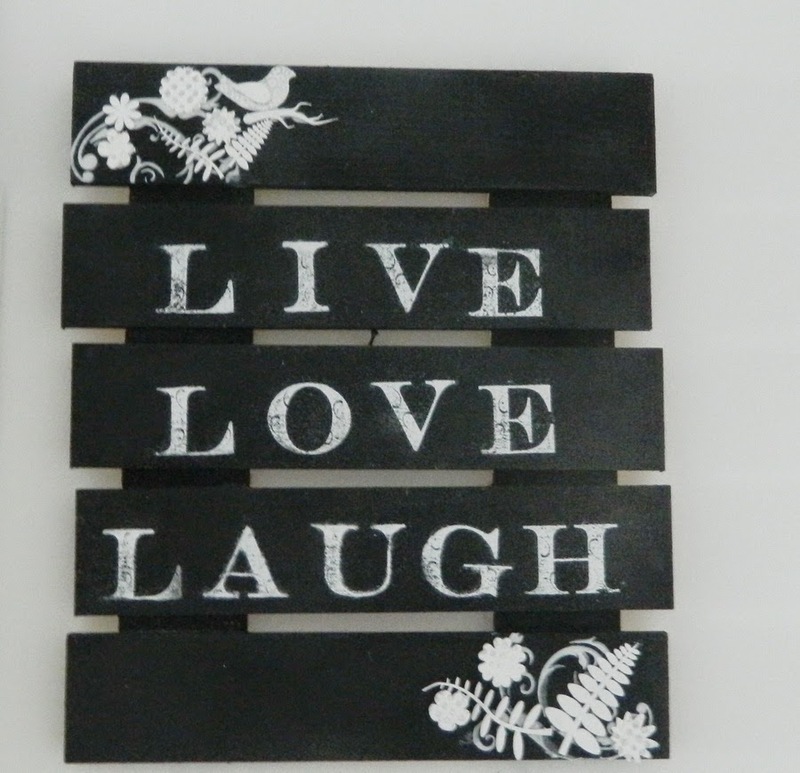 This is a wooden piece made into this trendy Chalkboard deco with stamping and heat embossed letters, but then I made those gorgeous Tando clusters on both corners of this project. Here you can see the lower corner. And here is the upper one. 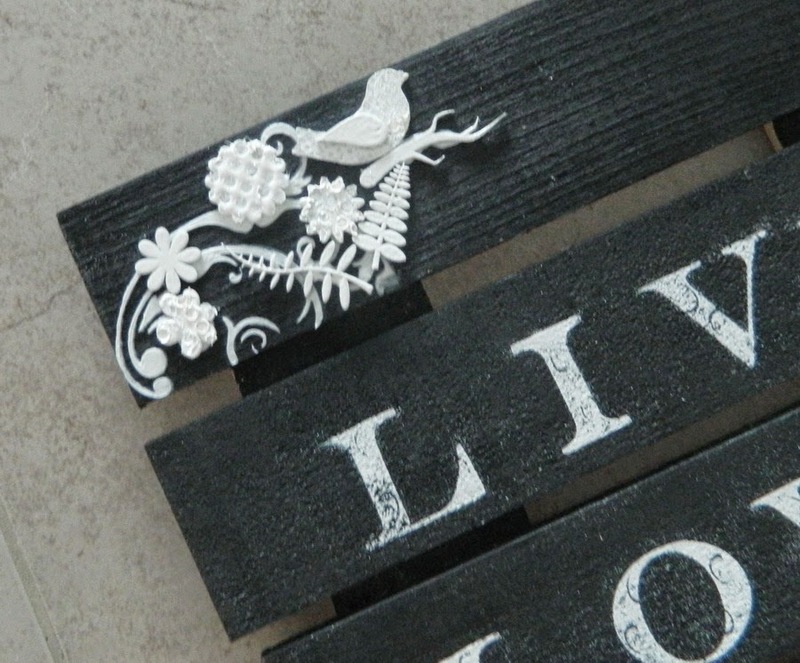 Both were made with leaves, flowers and birds covered with a few layers of White thick embossing powder and then some of the pieces were stamped into the hot powder for the texture. On the bottom I used Tando new Long Flourish mask with white texture powder. 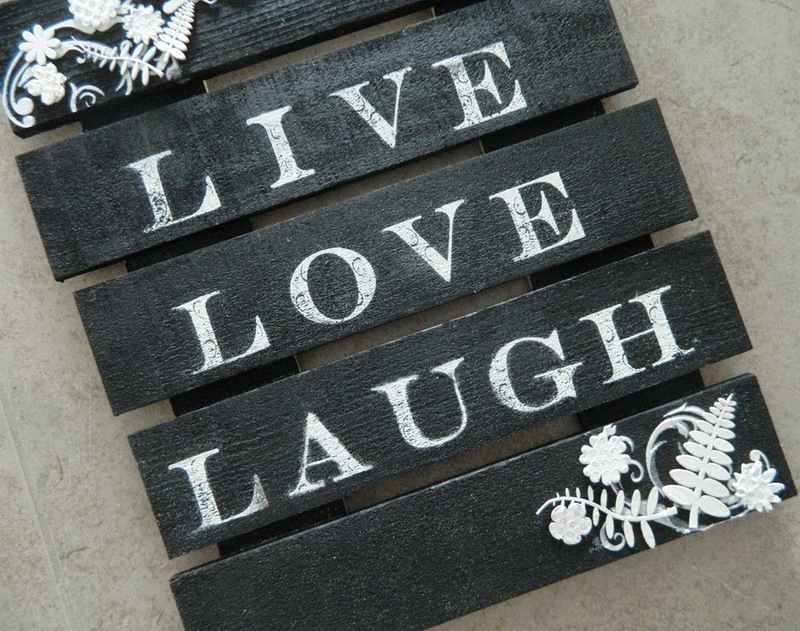 I really love this black and white projects made with Tando delicious chippies and masks. Most sure will do more of those classic projects in the future. 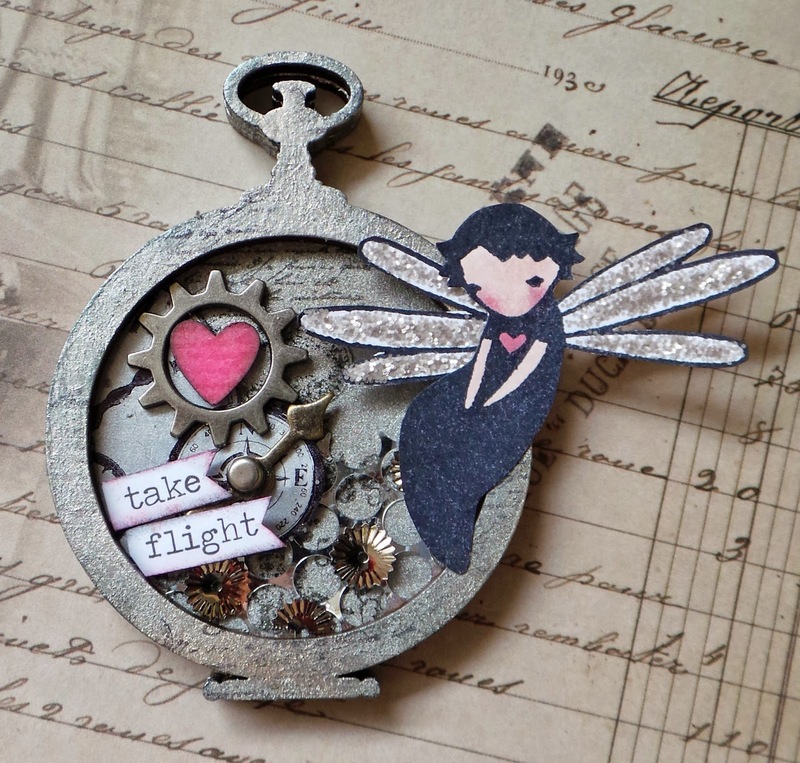 It's Wednesday again so head over to the Challenge Blog to see who is showcasing their project. Hi! Its Caroline here with my project for this weeks Free For All theme. 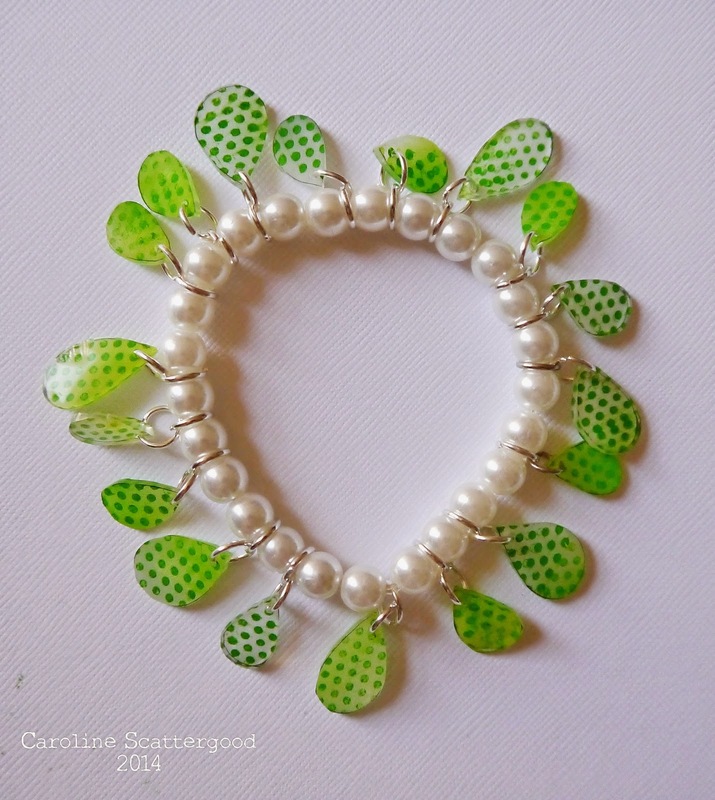 To make this bracelet I used some Tando Creative Leaves as a template. I drew around them onto shrink plastic! 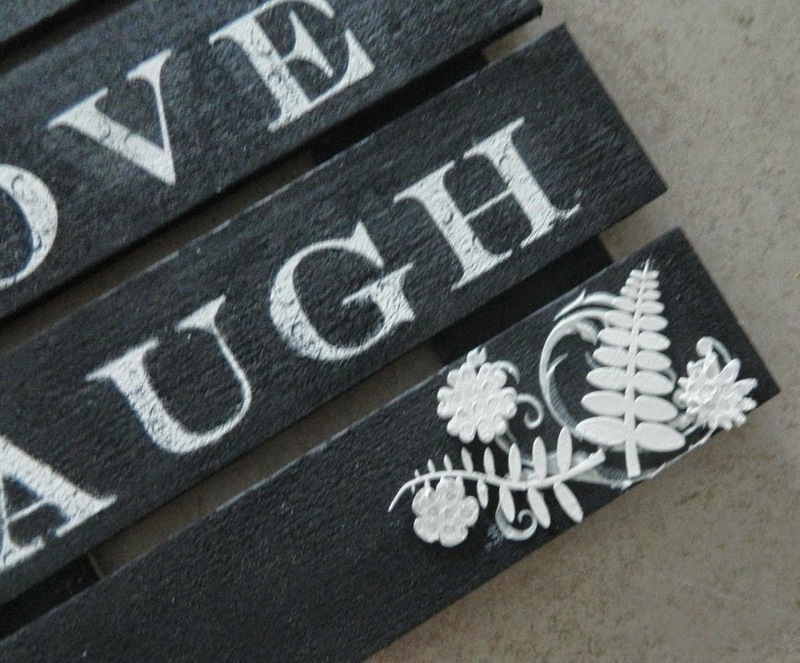 Leaf Branch with Loose Leaves currently on sale! 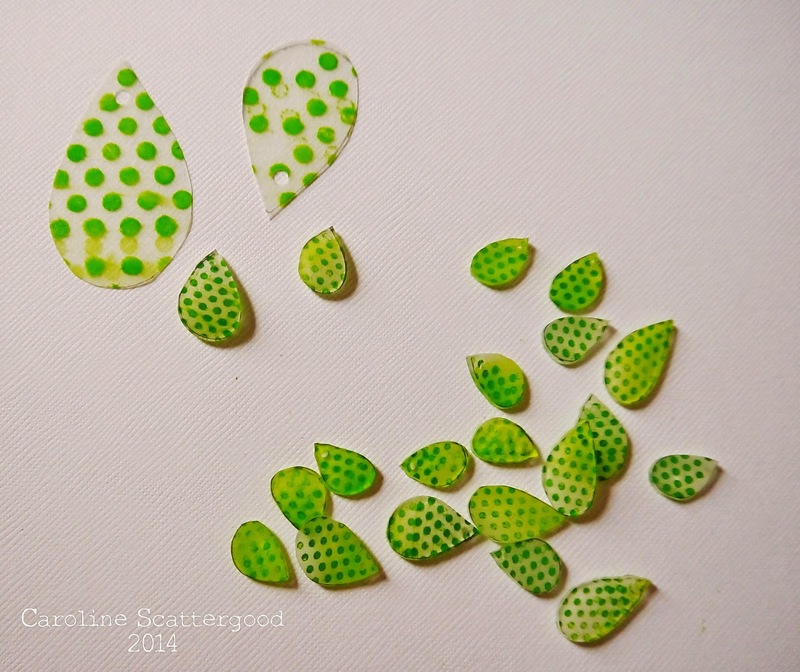 I then used a stamp to create the dotted design, punched a hole, and then heated. 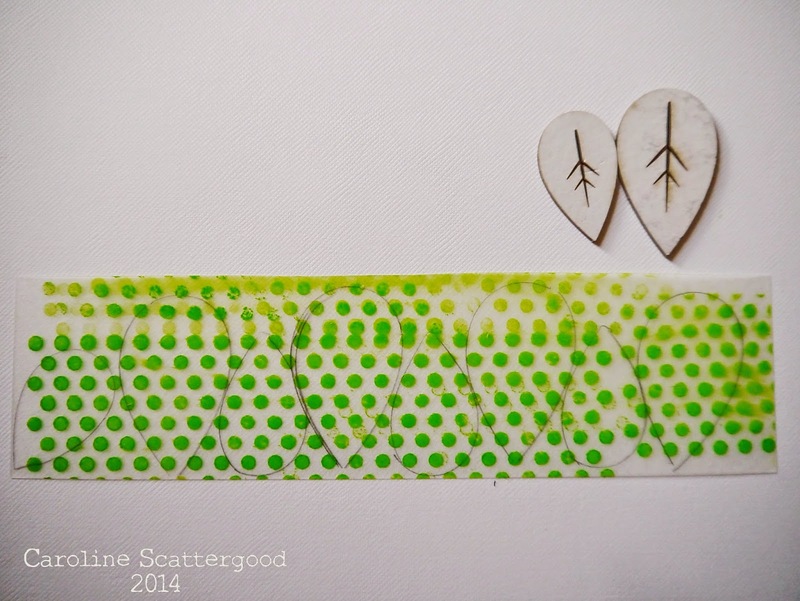 They then end up x7 times smaller than before and ideal for jewellery use! Keep checking for the rest of the week to see what goodies the team have for you.